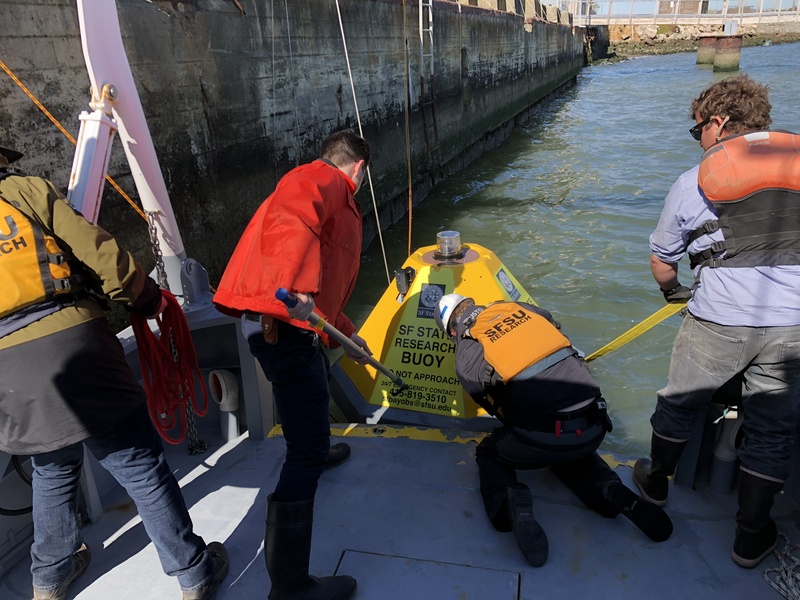 Visitors to the Tiburon shoreline may notice a new addition — a 5 ft. tall, bright yellow buoy anchored just offshore San Francisco State University’s Estuary and Ocean Science (EOS) Center. The Bay Ocean Buoy (BOB) and its companion mooring for Marine Acidification Research Inquiry (MARI) represent the first effort to perform long-term scientific monitoring of ocean acidity and carbon dioxide in the waters of the Bay. The launch of BOB expands efforts to monitor the effects of ocean acidification and hypoxia in the Bay (photo: Karina Nielson). 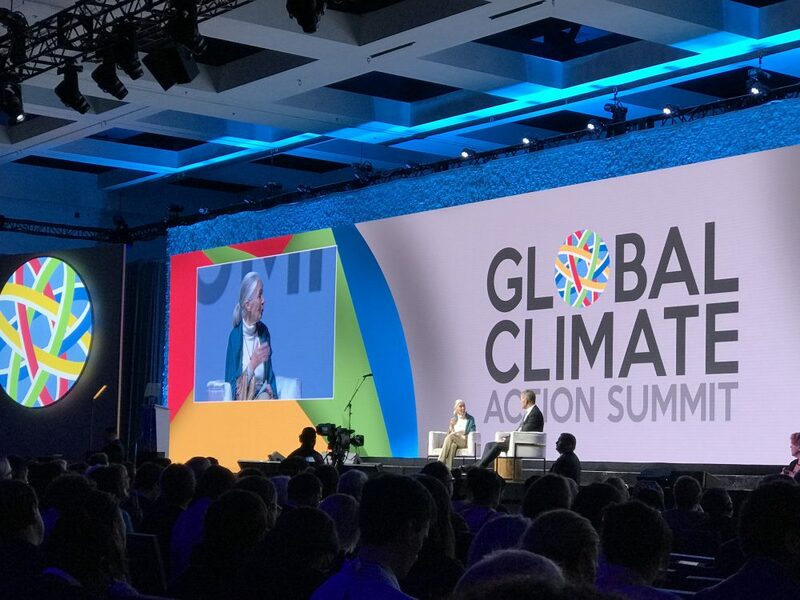 Researchers from San Francisco State University and UC Davis as well as other partners will learn how global climate change and changing ocean chemistry are interacting with local habitat restoration and conservation efforts. 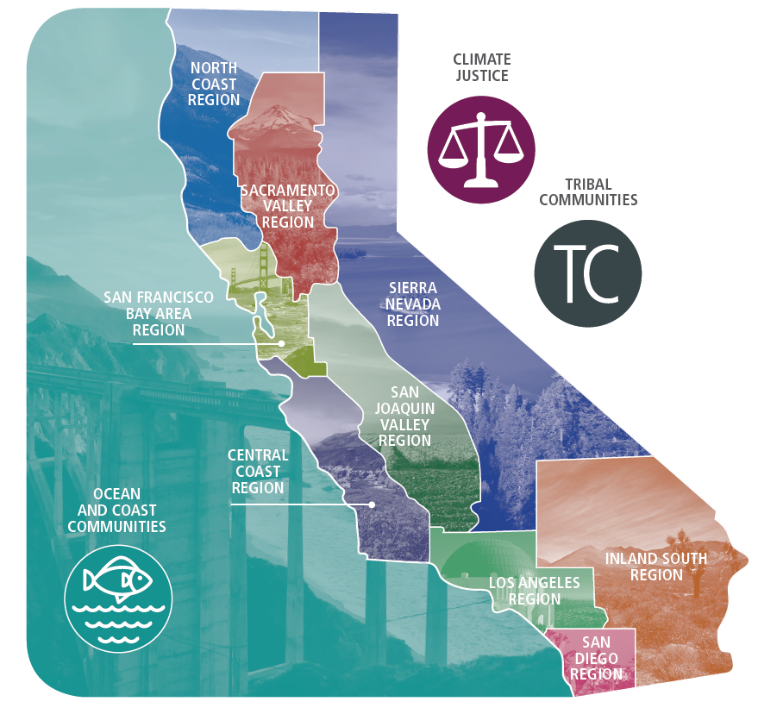 The project is funded by the U.S. Environmental Protection Agency through the San Francisco Estuary Partnership and by the Central and Northern California Ocean Observing System (CeNCOOS), a regional association of the National Oceanic and Atmospheric Administration’s (NOAA’s) U.S. Integrated Ocean Observing System.